This pretty lace pencil dress is a classic wardrobe staple you can wear for years! The Off White version is perfect to wear as a rehearsal dinner dress or bridal shower dress. The Camille Lace Pencil Dress is made of lace and is fully lined. It has a V neckline, wide shoulder straps, an empire waist, and a classic pencil cut. An open back design and hidden back zipper complete this dress. This dress is a great option for any event and looks nice paired with beige pumps or heels and a clutch. Details: Fully lined. Hidden back zipper. 70% rayon, 30% nylon. Dry clean. Do not bleach. Do not tumble dry. Do not iron. Small measurements: Length from top of shoulder to hemline: 33". Bust: 32". 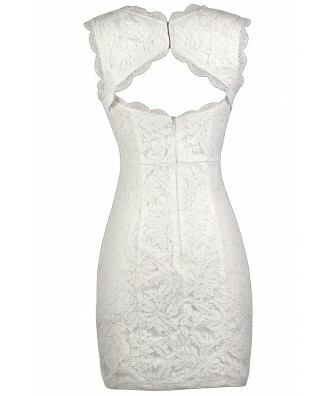 You have added Camille Lace Pencil Dress in Off White into Wishlist. You have added Camille Lace Pencil Dress in Off White for Stock Notification. 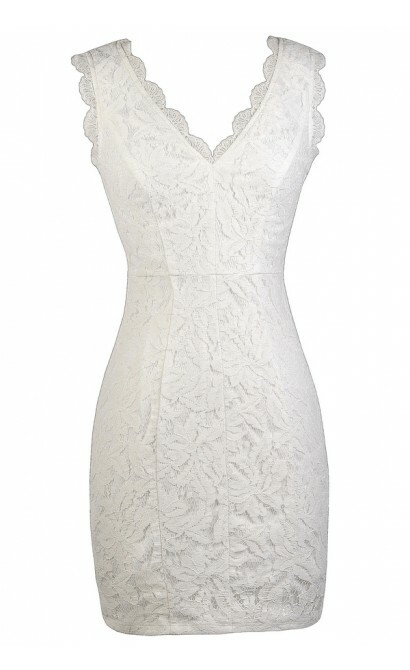 You have set Camille Lace Pencil Dress in Off White as a loved product. 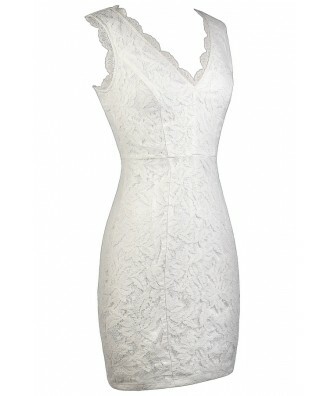 You have removed Camille Lace Pencil Dress in Off White as a loved product.